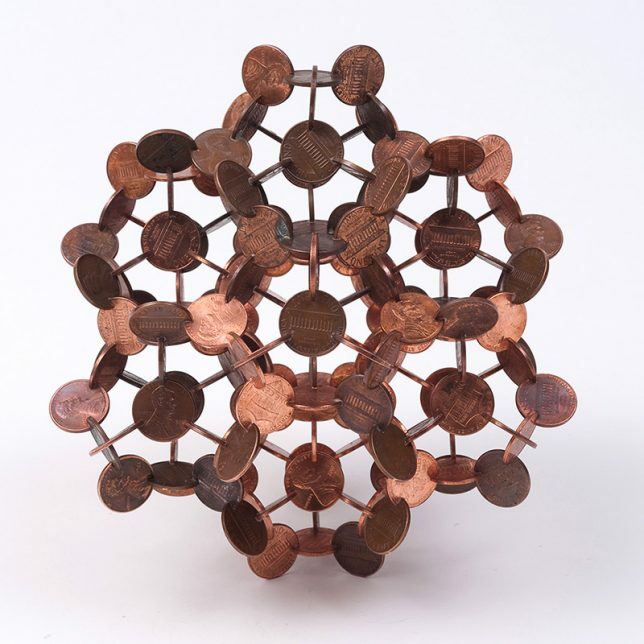 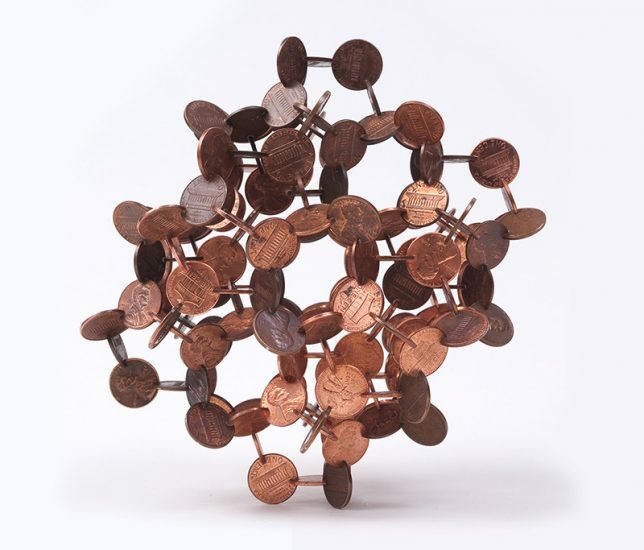 These works of art are literally made of money, yet worth more than the sum of their parts – but do they support or negate the argument that coins should be obsolete as currency? 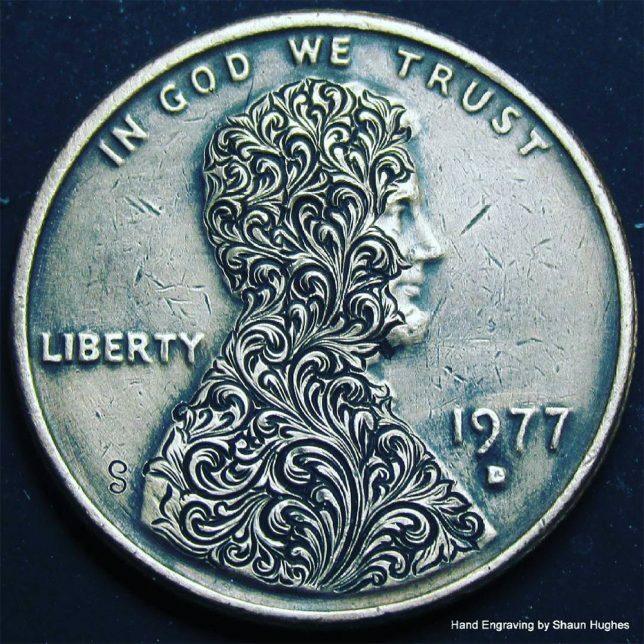 Artists use pennies, nickels, half dollars, Eurocents and other coins to craft murals, mosaics, sculptural busts and benches, or just carve into their faces, modifying them into pop culture icons like Frankenstein and E.T. 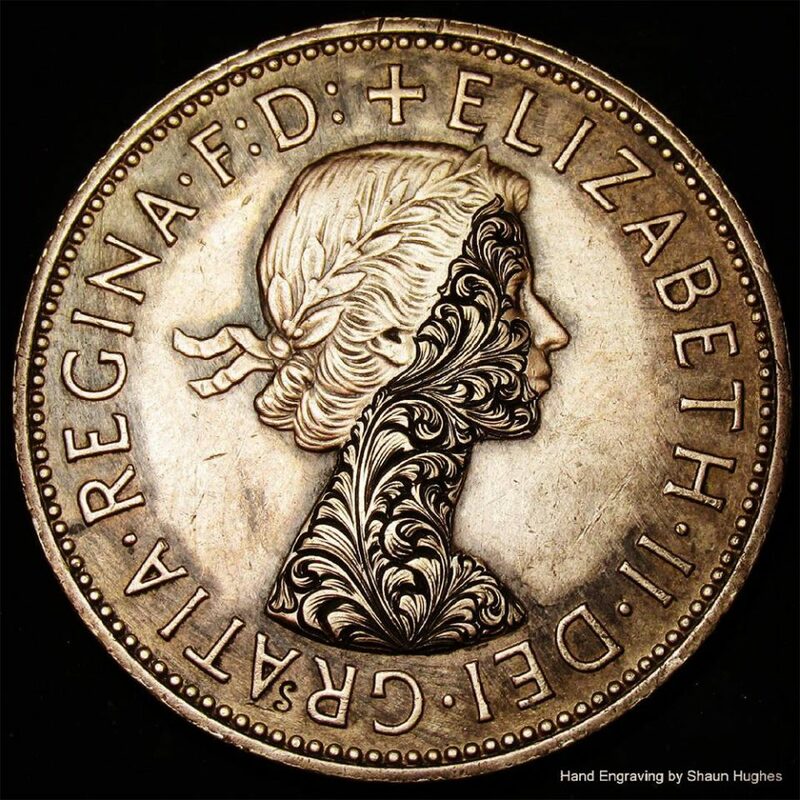 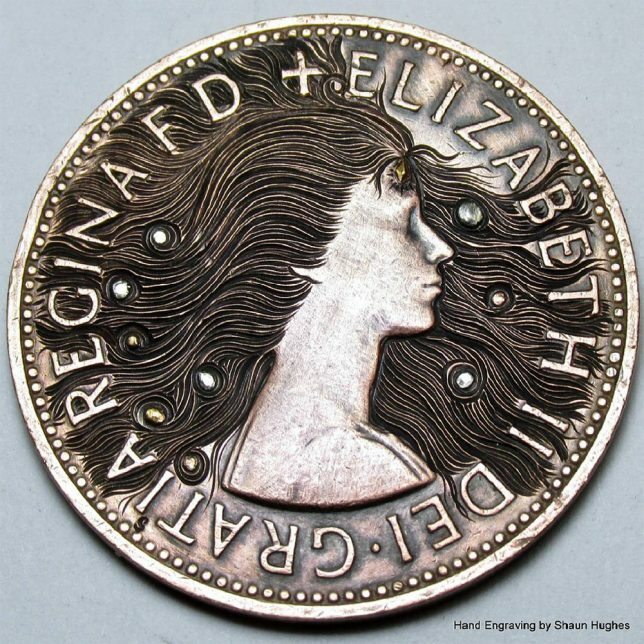 UK-based engraver Shaun Hughes etches decorative designs onto coin faces, embellishing therewith curlicue and floral patterns or adding flowing hair. 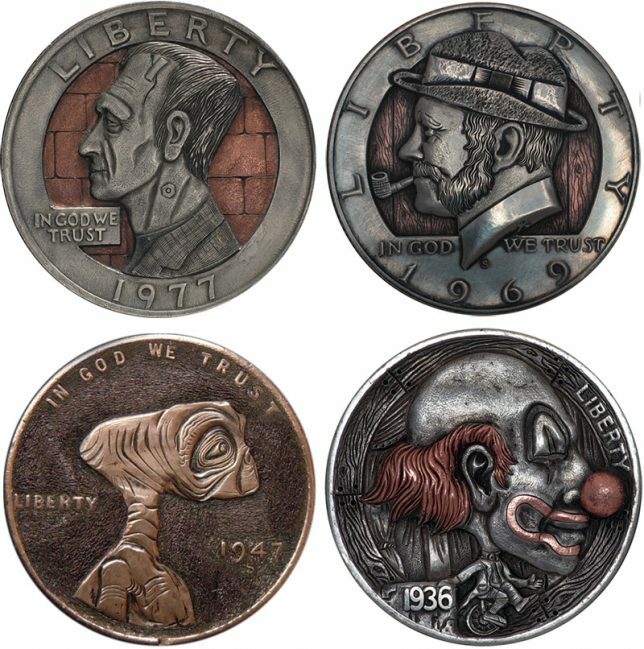 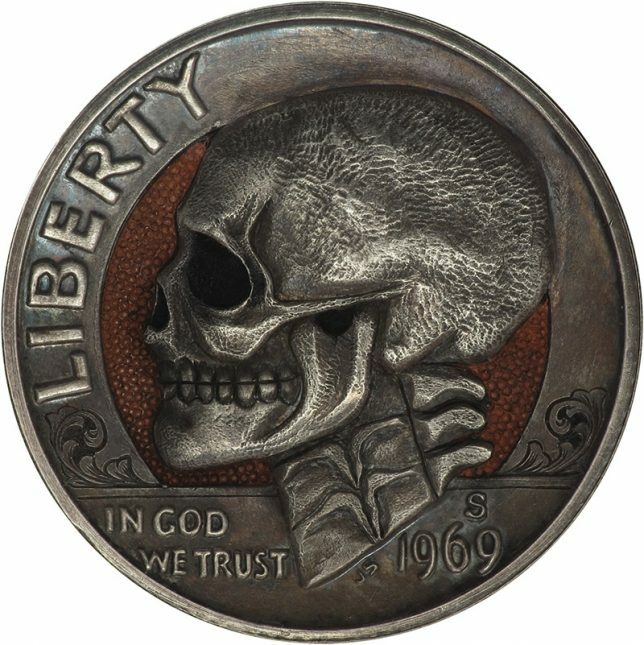 Following in the hobo nickel tradition, an inexpensive and highly portable art form involving the modificationn of coins, artist Paolo Curcio adorns a variety of coins with pop culture imagery, skulls and more, including the heads of clowns, Frankenstein and E.T. 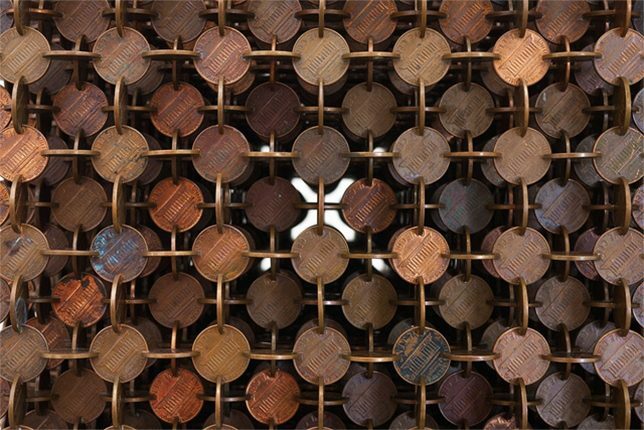 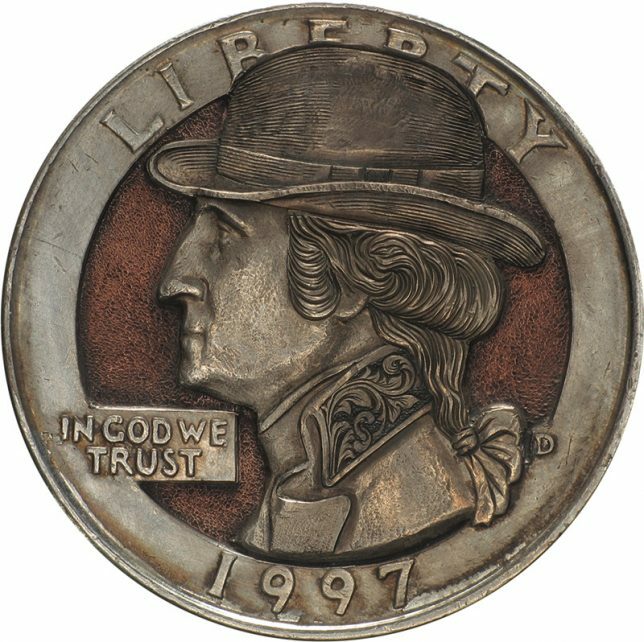 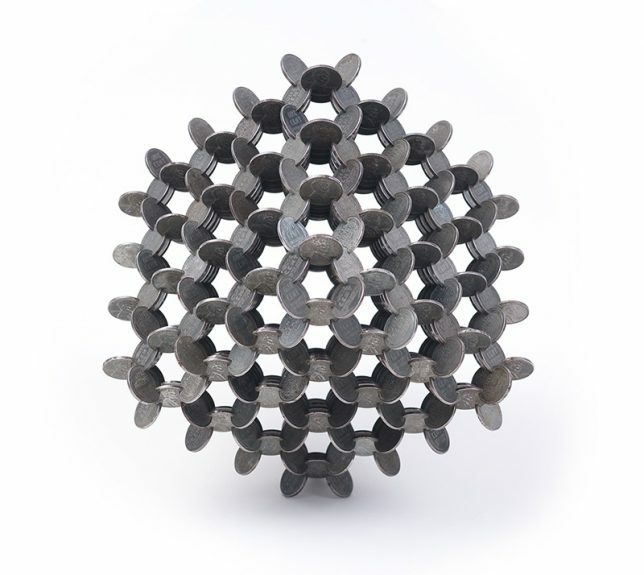 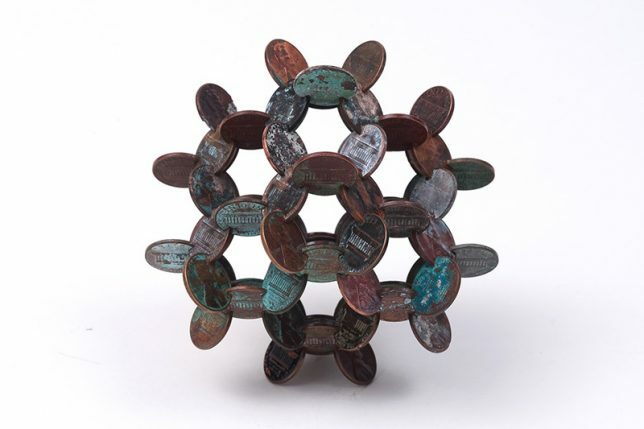 Artist Robert Wechsler cuts slits into coins that enable him to build complex three-dimensional sculptures, including a series for The New Yorker. 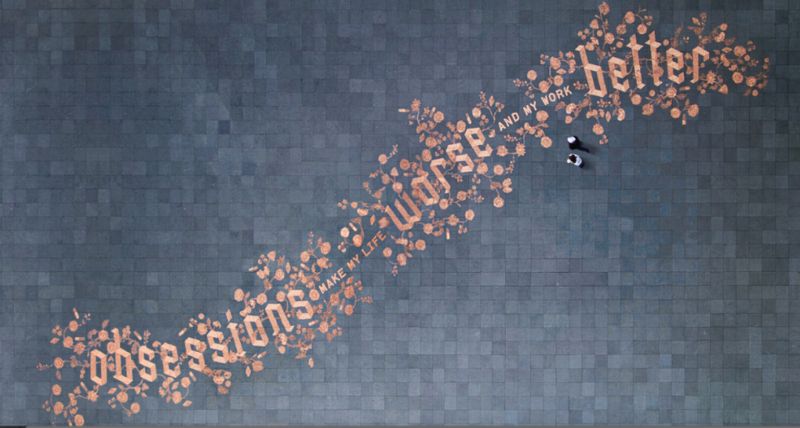 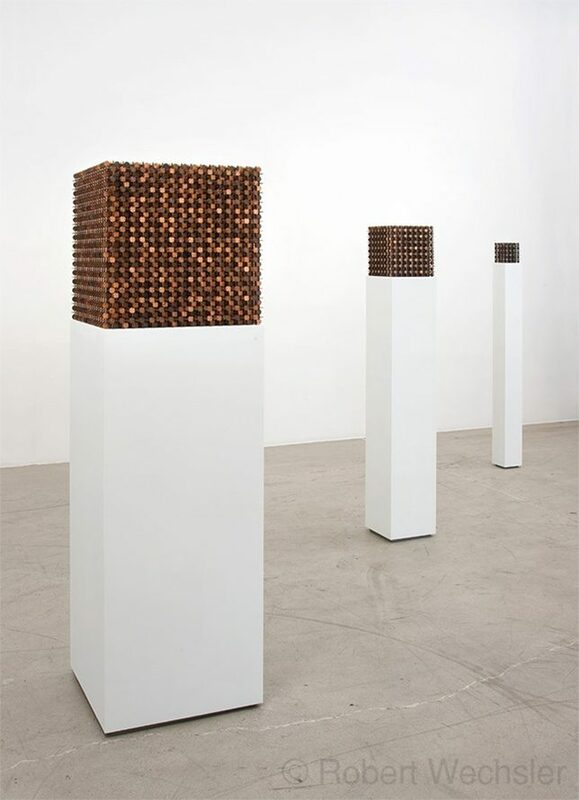 The sculptures can consist of as few as four coins, up into the thousands. 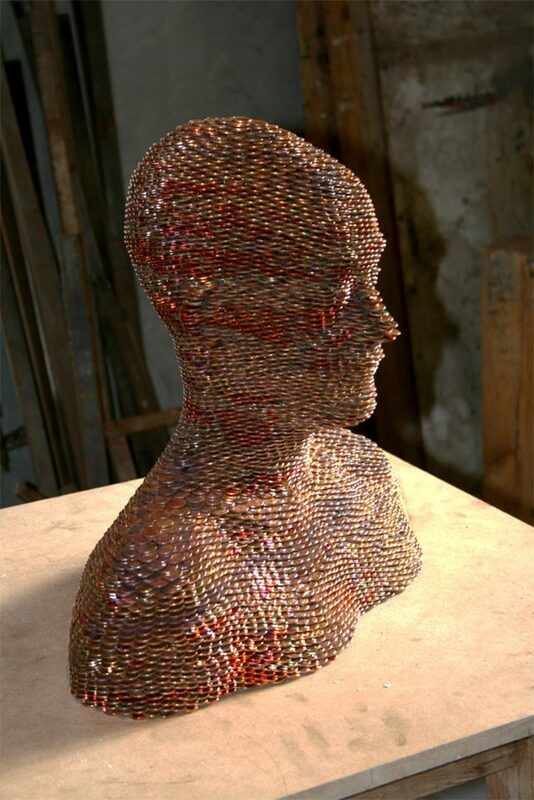 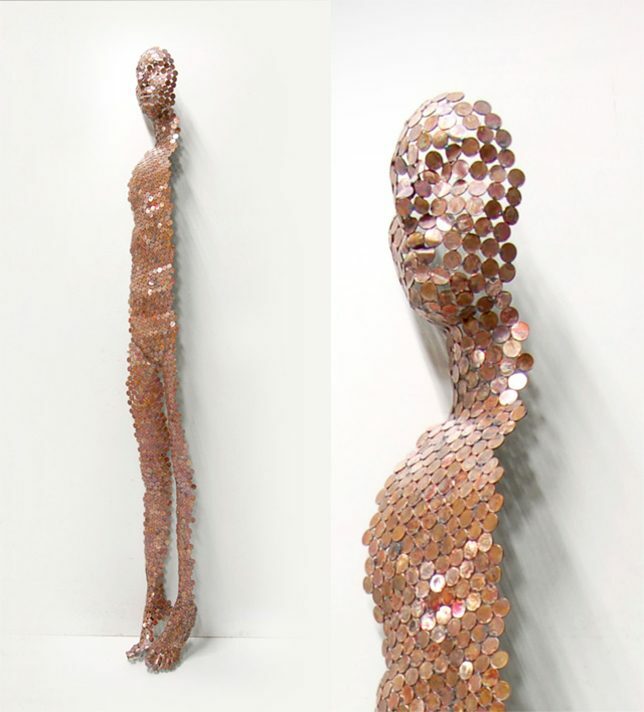 Whether stacked on top of each other or welded at their edges, coins provide the basis for surprisingly detailed sculptures of human forms by Gabriel Rufete.